Home to the world’s greatest religions, India is host to every type of fanatics. No other nation has heard as many war cries in the name of God as India. For centuries, at times Hindus, Muslims, Christians and Sikhs have waged bloody wars, sought violent conversion and declared jihad against their enemies. 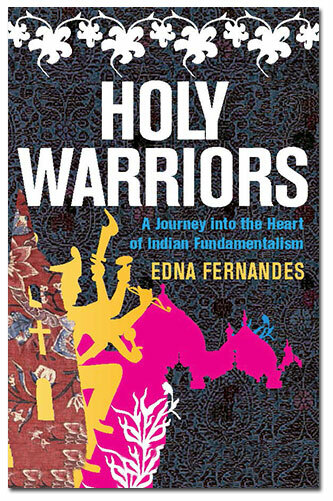 Holy Warriors takes the reader into India’s past and present theatres of religious conflict to meet the generals and foot soldiers of these holy wars. Here is evidence that every religion can be hijacked by the forces of fundamentalism. The journey takes the reader from Kashmir to Kerala, from the Punjab to Goa, reporting on the frontlines of these tensions. Meet Hinduism’s saffron warriors inspired by Nazi doctrine and the Sikh extremists who seek a Land of the Pure. Enter the notorious madrassa that is the spiritual birthplace of the Taliban and then into Nagaland, land of former headhunter tribes who seek a separatist Christian state. Impressively researched and lucidly written… Anyone interested in the complex appeal of religious extremism should read it.